There are mix-and-match applications of The Career Game for grades 5 through 12. 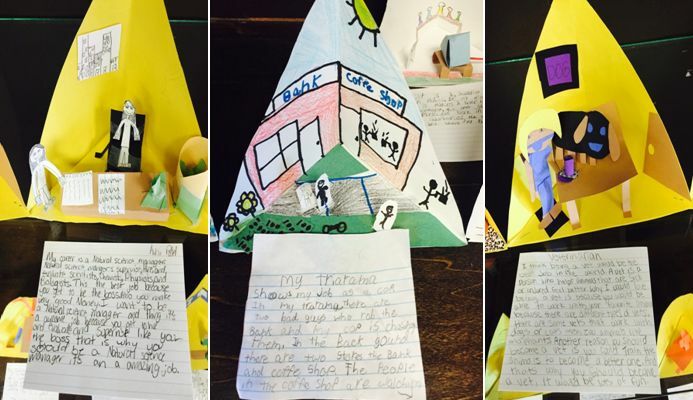 Here’s one creative Internet + classroom technique developed and implemented by counselor Brook McCoy in partnership with 5th grade teacher Alicia Goings of Holmes Elementary School in Wilmington Ohio. These activities are a near-perfect application of the ASCA’s Mindsets & Behaviors for Student Success, as well as many other ELA and SS standards. The counselor was involved in just one class session, with follow-up activities led by the classroom teacher over the next several weeks. One of my responsibilities is to promote career education. In addition, our entire 5th grade also covers a unit of career education in their social studies class. 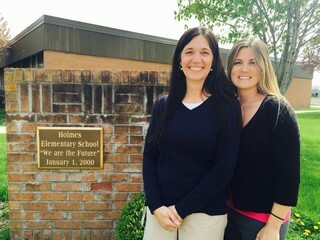 So, Mrs. Goings (Social Studies teacher) and I joined forces to find, create and implement a meaningful and useful career educational experience for our 5th grade students. We wanted something fun, engaging, enlightening and motivating - good luck, right? I spent some time researching and came across various resources, lesson plans, and interest inventories. While I found a lot of good information I was still looking for something that would engage, connect and interlock the gap between career education and student ‘buy in’…… then I came across The Career Game. 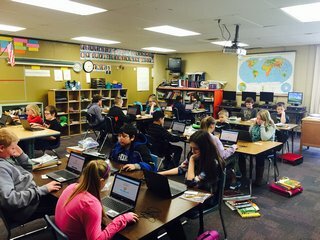 Within minutes, for a cost of only 59 cents each, I was able to purchase an interactive online career portal for every 5th grade student in our building. The students logged in and away they went! The interactive Career Game experience for our 5th graders was a blast! Our students, on a day to day basis, tackle many social, emotional and educational challenges, as well as rigorous school work and lessons. It was so much fun to intermingle and watch them get excited about learning! 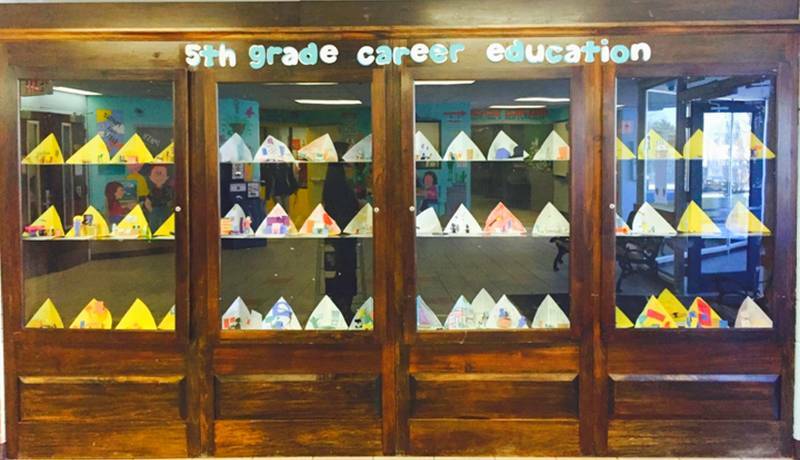 The Career Game personalized each student’s experience and allowed them access to a plethora of career knowledge! Thanks to The Career Game Online our students are now excited about career education as well as knowledgeable about career expectations and opportunities! My Learning Goal: Workers can improve their ability to earn income by gaining new knowledge, skills and experiences. My Learning Target: Identify a career of interest and research the knowledge, skills and experiences required. After students completed the online interest inventory, they were given a chance to explore the careers that were suggested for them. The tabs on the site made it easy for them to sift through the features of the matching jobs. Students were then instructed to choose one career that sounded interesting and answer the following sentence stems: What is the definition of the career? What are the duties? What education is needed? What is the work environment? The website was so well organized that students were able use the similarly worded tabs to easily find this information. It was a great lesson in researching. I then asked them to write a three paragraph essay covering these points: What would you do while working at this job? What education would you need? Where could you work? What qualities are needed for this job and what qualities of yours would make you good at it? The students then made trioramas from construction paper. These had to be decorated on the back as well as have 3D objects that showed some important aspect of their chosen career. They also had to include one natural resource, capital resource, and human resource. Index cards were included that could either describe the career or persuade that this was an important, exciting job. For the culminating activity, a panel of professionals was invited to school for a visit. The students peppered them with questions they had prepared in class earlier, took notes on what was said, and wrote short essays on what they had learned. Did this article give you any fresh ideas? If you are a counselor, have you ever coordinated any lessons with classroom teachers? Are you a teacher who has coordinated lessons with counselors? Please share your experience in the comments below. In the message box, type: "FREE TRIAL"
We'll email you a personal code to access the site from both student and administrator points of view.